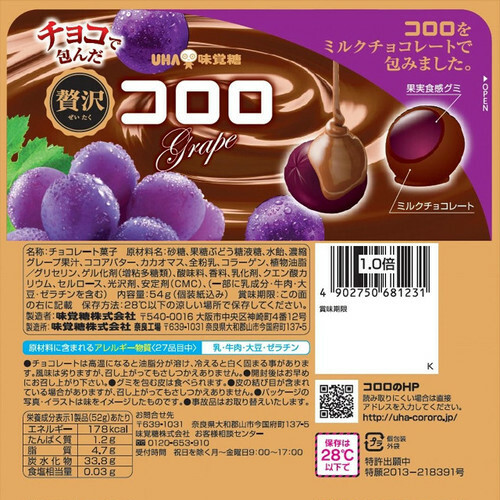 Chocolate-coated rich fruit texture Gummy, Kororo Grape taste. 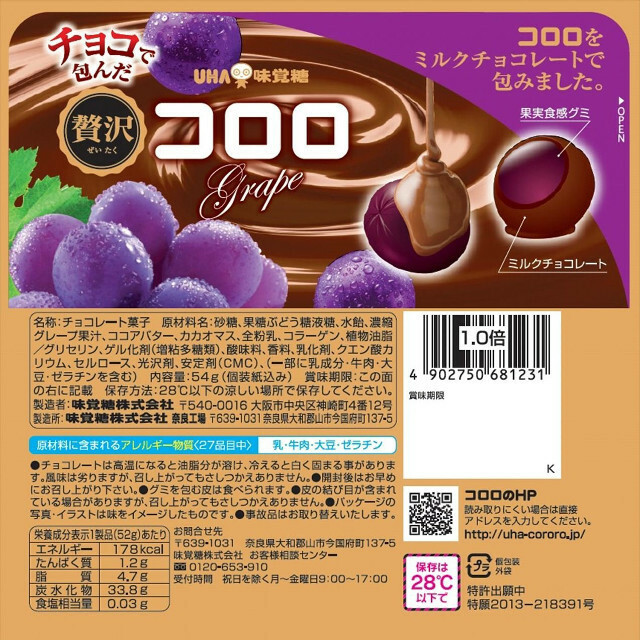 Mix and match, sweet-sour flavor of fruit and mild sweetness of Chocolate. 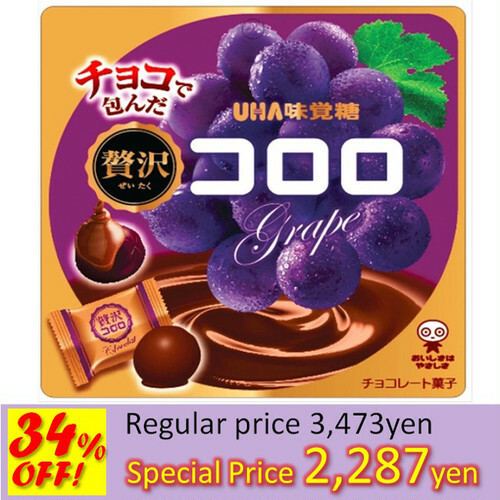 Good for kid’s snack, a break in office, a quick light meal. Just only one bite, but it gives you luxury moment of rich flavor. ※Selling Agency; UHA Mikakoto Co., Ltd.
※Please be sure to read and accept “Terms and Conditions” & “How to purchase”before purchase. ※The Consignor is our partner company SynaBiz Co., ltd.